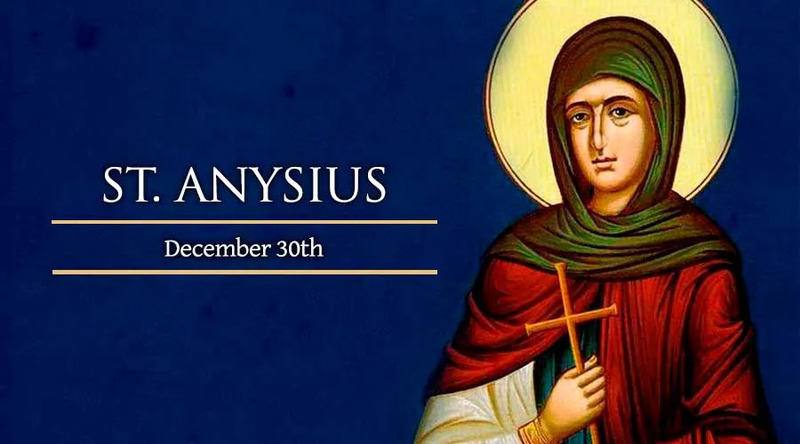 St. Anysius was the successor of St. Ascolus as bishop in the see of Salonika, Greece. A friend of St. Ambrose, Anysius was appointed as bishop in 383. Pope Damasus also named him vicar apostolic of Illyricum. A loyal defender of St. John Chrysostom, Anysius was one of the sixteen Macedonian bishops to appeal to Pope Innocent in 404 on St. John's behalf.